Church members completed a two-mile walk around Rochester, Minnesota, to celebrate the 10-year anniversary of the FAITH! program in 2018. What if a team of researchers came into your neighborhood to develop healthy living programs — tailored just for you? 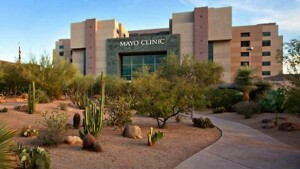 Mayo Clinic is collaborating with communities in just this way, using research as a bridge to better health. Coordinated by Mayo Clinic’s Office of Health Disparities Research, teams are using a methodology called community-based participatory research to collaborate with faith communities in Minnesota, Florida and Arizona. In many African-American communities, church is at the center of spiritual and social life. Nearly half of African-Americans (47 percent) attend services at least weekly, according to the Pew Research Center. 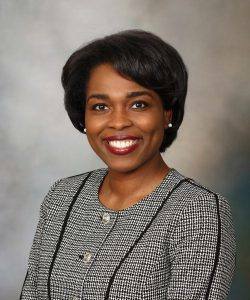 In 2013, Mayo Clinic cardiologist LaPrincess Brewer, M.D., was invited by members of a Rochester, Minnesota, church to help them address a specific concern: cardiovascular disease — the No. 1 cause of death for African-Americans. Partnering with three churches, Dr. Brewer’s team developed a 16-week educational program to improve prevention of cardiovascular disease. 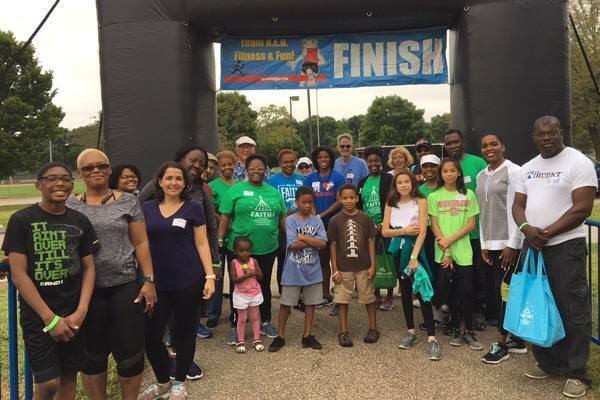 The Fostering African-American Improvement in Total Health (FAITH!) program, previously established by Dr. Brewer in Baltimore, Maryland, focuses on healthy lifestyle promotion. Within the FAITH! program, Dr. Brewer used an American Heart Association’s strategy called Life’s Simple 7 that targets major cardiovascular risk factors: diet, smoking, physical inactivity, obesity, hypertension, diabetes and cholesterol. Church members were the primary voice for deciding not only the goal of the research collaboration, but where, when and how to achieve it. In particular, church leaders requested that the program incorporate African-American traditions. FAITH! included healthy cooking demonstrations focused on Southern dishes, and participants received a cookbook of low-fat, low-calorie recipes customized to traditional African-American cuisine. The program also included interactive seminars by health professionals, weekly fitness classes, and videos on heart health topics. As incentives, participants received gift cards to a local supermarket, and YMCA memberships. The researchers used questionnaires and health data to measure how well these interventions worked. At the outset, data showed that the community members matched the African-American population in general, with high risk factors for cardiovascular disease, and high rates of obesity and hypertension. At the end of the study, participants showed an increase in cardiovascular health knowledge, and better scores related to the Life’s Simple 7 risk factors. 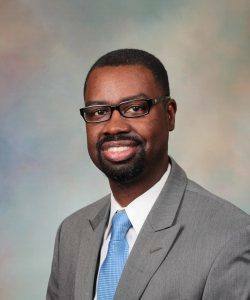 The results were published in the Journal of Racial and Ethnic Health Disparities and the Journal of Health Psychology. Church members wanted a way to share the health education information with family and friends, so the researchers developed a mobile health (mHealth) intervention ­— an app featuring multimedia education modules and a participant “sharing board.” Results of a pilot study were published in JMIR Research Protocols and the Journal of General Internal Medicine. The mHealth intervention supports sustainability of FAITH! and has made the program readily adaptable for distribution in any community. The program has now expanded to the Minneapolis-St. Paul area. The FAITH! 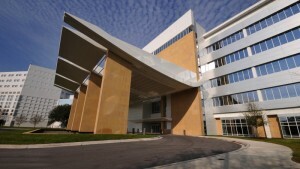 program has laid the foundation for sustainable partnerships between the African-American churches and Mayo Clinic, as well as the University of Minnesota at Rochester. The project has also provided leverage for other Mayo researchers to become involved in community-based participatory research. When it comes to collaborating with communities, Mayo Clinic researcher Richard White, M.D., has a word of advice: “You have to listen before you speak,” he says. Dr. White recently surveyed a group of faith-based organizations in Hispanic communities in Jacksonville, Florida, with assistance from clinical research coordinator Elizabeth Pantoja. The survey was part of Mayo Clinic’s Health Outreach Program en Español (HOPE), a collaborative initiative with churches and other local organizations to bring health education and research to the Hispanic community. Hispanics bear a high burden of diabetes. According to the Centers for Disease Control and Prevention, Hispanic people are about 50 percent more likely than whites to die from diabetes, more than half will be diagnosed with type 2 diabetes in their lifetimes. 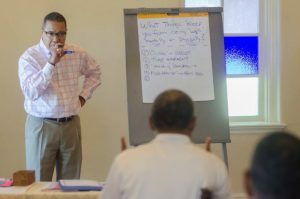 In 2015, Mayo Clinic researchers in Florida began connecting with faith-based organizations to look for potential areas to collaborate. The team now partners with over 20 faith-based organizations. 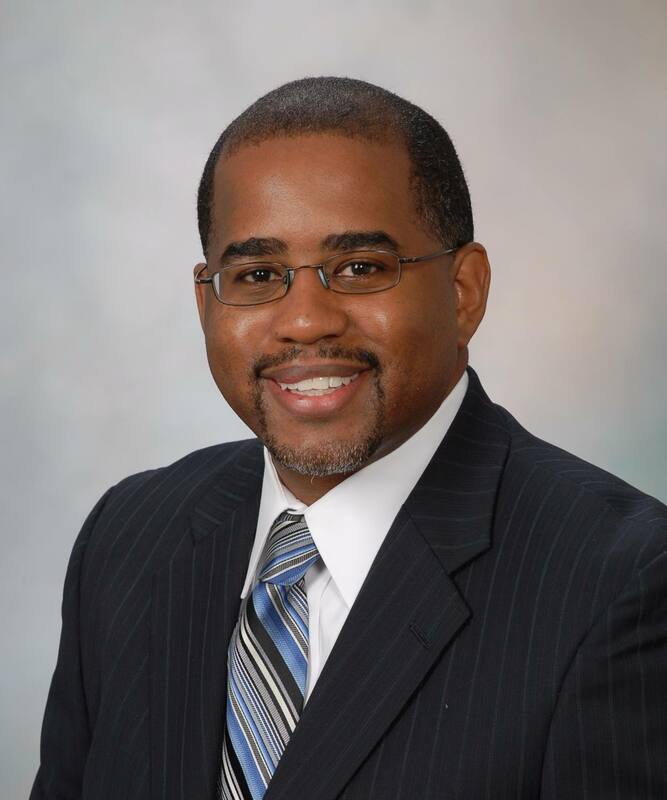 Dr. White recently received a grant from the Patient-Centered Outcomes Research Institute (PCORI) to build capacity for the program. This work will include creating a community advisory panel that will help Dr. White and his team to develop a training module for faith leaders and other Hispanic-serving stakeholders in research methodology. In May 2020, the researchers will hold a communitywide event, called Jax Saludable, to give the trained faith leaders and stakeholders a hands-on experience with connecting the community to research opportunities and health education. 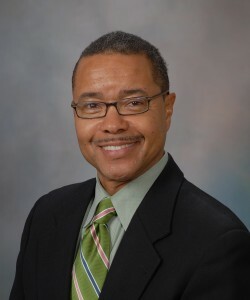 Mayo Clinic family researcher Floyd Willis, M.D., with assistance from program manager Monica Albertie, has launched a research program in collaboration with the University of Florida to reduce the rates of obesity, hypertension and stroke in African-American communities. Floyd Willis, M.D., leads a discussion with community members. The researchers will implement the University of Florida’s Health-Smart Behavior Program (Health-Smart) at six churches, for 30 community members who are overweight or obese. The program aims to arm participants with strategies for “heart-smart” behaviors — healthy eating, physical activity, and stress and depression management — as well as to increase how often they access needed health care services. By comparing before and after data, communities can zoom in on which interventions are making the most difference — and where gaps may lie. The research team will also help churches create sustainability plans. Mayo Clinic researchers Yonas Geda, M.D., and Christopher Pullins, M.D., collaborated with an African-American church community in Arizona to conduct a feasibility study on how physical activity levels may affect cognitive function. Participants took a computerized cognitive test that measured their reaction times and short-term memory. The researchers also measured their resting energy expenditure, and tracked their activity levels. Some participants were chosen at random to receive free memberships to a fitness club to encourage their physical activity. The researchers found a trend between higher cognitive functioning and greater physical activity. “These findings have encouraged community members to remain physically active,” says Dr. Pullins. The research team plans to explore the possibility of further collaboration with this community. Studies such as this help open the door for minorities to participate in research. 2015 census data indicates that minorities make up about 40 percent of the population, yet they represent only about 19 percent of participants in clinical trials, according to the U.S. Food and Drug Administration. This gap can undermine the applicability of results to these groups. Underserved populations may also miss out on benefits of research participation — such as resources made available to communities, and the opportunity to try promising new therapies. 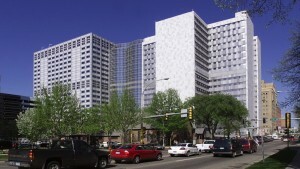 Since 2015, the Office of Health Disparities Research has partnered with Mayo Clinic’s Community Engagement in Research Program to sponsor community members and Mayo Clinic staff to attend the annual Healthy Churches 2020 Conference. At this event, Drs. Brewer and Pullins have led a workshop on methods to recruit African-Americans to participate in research. At the Healthy Churches 2020 Conference in 2016, an enterprise team of Mayo researchers collaborated with the Balm in Gilead, Inc., to conduct a survey of the attendees, who are predominantly African-American church and healthy ministry leaders. The team found that self-reported health behaviors of participants was suboptimal — highlighting the need to promote self-care and health and wellness among those in faith communities who are running health ministries. The study was published in the Journal of Religion and Health.